Once again, Joe Paduda has broken down why single payer is inevitable, and what will happen to millions if repeal of the ACA happens. I won’t go over the reality of what the landscape would look like, because we have heard about it before, and does not bear repeating. However, what does need to be said is, repeal will lead to single payer, no matter what the medical-industrial complex says or does to stop it, and those who advocate an incremental approach, such as fixing ACA, or some other half Medicare measure, will eventually lose ground politically, especially those running for president. And those of you who advocate for more competition and a truly free market in health care should pay attention to what Joe say about that. Finally, check out the infographic at the bottom of the text. It is funny. This entry was posted in ACA, Affordable Care Act, free market, medical-industrial complex, Medicare for All, Republicans, Single Payer, Trump, Trumpcare and tagged ACA, Affordable Care Act, free market, Medicare for All, Repeal, Republicans, Single Payer, Trump, Trumpcare on March 29, 2019 by Transforming Workers' Comp. Good morning all you minions of the medical-industrial complex and related businesses, Joe Paduda has once again simplified the issue before us now that the Orangutan administration has decided to repeal the ACA. This article won’t probably convince your superiors or the wolves of Wall Street who will fight tooth and nail to see that Medicare for All never sees the light of day, just so that they can reap their precious profits off of other people’s misfortune. But perhaps it will convince you of the critical junction we face at this moment; whether to let this happen and go back to the bad old days as Joe describes, or to move forward into a bright new day with universal coverage that does not generate huge profits for insurers, pharmaceutical companies, hospital systems too big to fail, device manufacturers, and even some physicians, but does provide all Americans the health care they deserve as a right, and not as a privilege of wealth or one’s bank account. Yesterday’s announcement that the Justice Department will move to kill the entire ACA – with NO replacement legislation – sent shock waves thru the healthcare world. And will send many Americans straight over the edge. If the Trump Administration is … Continue reading WTF are they doing?? This entry was posted in Health Care, Health Care Reform, Affordable Care Act, Health Policy, ACA, Single Payer, Medicare for All, Trump and tagged Health Care, Health Care Reform, Affordable Care Act, ACA, Single Payer, Repeal, Medicare for All on March 27, 2019 by Transforming Workers' Comp. Both CNN and The Washington Post reported yesterday that the Justice Department will back a full repeal of the Affordable Care Act (ACA), after a federal judge in Texas ruled the law unconstitutional in December. If this repeal takes effect, millions of Americans will lose their healthcare. Those of you employed in the medical-industrial complex, and related industries, must face the fact, that if the Republicans succeed in their long-held promise to destroy healthcare for Americans who could never afford it before, or had limited coverage, there will be no other alternative left to provide healthcare than to have an Improved Medicare for All/Single Payer system. There are those who believe that Medicaid for All is a better option, but given that many states that expanded Medicaid elected GOP governors and legislatures, or could in the future, Medicaid in those states could also be taken away from those who receive expanded coverage. Many of you are employed by the very same insurance companies, pharmaceutical companies, device manufacturers, and other businesses that are allied with the healthcare system, and it is these companies that are gearing up to fight passage of any Medicare for All/Single Payer health care bill. Do you really want your fellow Americans to die because they cannot generate huge profits for your employers and for Wall Street investors and shareholders? if the Orangutan gets his way, that is what will happen. Also, our hospital ERs will once again be clogged with patients who need immediate medical attention, and the quality of health care will deteriorate even further. The only logical solution is Medicare for All/Single Payer, because the only option left will be Medicare for All/Single Payer. This entry was posted in ACA, Access to care, Accessiblility, Affordability, Affordable Care Act, Constitutionality, Courts, Federal Government, Health Care, Health Care Reform, Medicaid for All, medical-industrial complex, Medicare for All, pharmaceutical industry, Republicans, Single Payer, Trump, Unconstitutional and tagged ACA, Affordable Care Act, Constitutionality, Federal judge, Health Care, Health Care Reform, Medicare for All, Repeal, Single Payer, Unconstitutional on March 26, 2019 by Transforming Workers' Comp. Note: No matter where you come down on the issue of immigration and the undocumented, this process of rounding up men, women and children needing medical care is reminiscent of the tactics carried out not only by the Gestapo during the Nazi period in Germany, but every other authoritarian regime in history. We should be better than this. We are better than this. Hospital staff are on the front lines in the fight against a growing threat to their patients’ health: fear. This entry was posted in health care workers, ICE, Immigrant Workers, Immigrants, Immigration, Immigration Reform, Latino, Legal Immigration, Mexico, Nursing, Trump, Undocumented and tagged Cross-Border Health Care, deportation, health care workers, Hospitals, ICE, Immigrants, immigration, Immigration Reform, Legal Immigrants, Undocumented on September 14, 2018 by Transforming Workers' Comp. The following two articles come from Dr. Don McCanne’s Quote of the Day blog. care should be made more available to immigrants rather than less so. Many Americans, including some in the health care sector, mistakenly believe that immigrants are a financial drain on the U.S. health care system, costing society disproportionately more than the U.S.-born population, i.e., themselves. Our review of the literature overwhelmingly showed that immigrants spend less on health care, including publicly funded health care, compared to their U.S.-born counterparts. Moreover, immigrants contributed more towards Medicare than they withdrew; they are net contributors to Medicare’s trust fund. Our research categorized immigrants into different groups, but in all categories, these studies found that immigrants accrued fewer health care expenditures than U.S.-born individuals. Among the different payment sources – public, private, or out-of-pocket – public and private expenditures were lower for immigrants, with immigrants spending more out-of-pocket. Differences decreased the longer immigrants resided in the United States. While annual U.S. medical spending in 2016 was a staggering $3.3 trillion, immigrants accounted for less than 10% of the overall spending – and recent immigrants were responsible for only 1% of total spending. Given these figures, it is unlikely that restrictions on immigration into the United States would result in a meaningful decrease in health care spending. To the contrary, restricting immigration would financially destabilize some parts of the health care economy, as suggested by Zallman and colleagues, who found that immigrants contributed $14 billion more to the Medicare trust fund than they withdrew. Fiscal responsibility is an important reason for the United States to provide insurance for newly arrived immigrants, as they could continue to enlarge the low-risk pool of healthy individuals that helps offset the cost of insuring high-risk individuals. Currently, under the ACA, undocumented immigrants cannot enroll in the state health care exchanges. If we are seeking to minimize costs, which would seem a major factor in the reasoning of policymakers who would deny immigrants care, then it makes financial sense to enroll individuals who will (on average) contribute more to the health care system than they withdraw. Healthy, young immigrants are precisely whom we should target for Medicaid enrollment, state exchanges, or private health insurance. By Krista M. Perreira, Ph.D., Hirokazu Yoshikawa, Ph.D., and Jonathan Oberlander, Ph.D. The United States is making major changes to its immigration policies that are spilling over into health policy. In one such change, the Trump administration is drafting a rule on “public charges” that could have important consequences for access to medical care and the health of millions of immigrants and their families. The concept of a public charge dates back to 19th-century immigration law. Under current guidelines, persons labeled as potential public charges can be denied legal entry to the United States. They can also be prevented from adjusting their status from a nonimmigrant visa category (e.g., a student or work visa) to legal permanent resident status. In addition, if they become public charges within the first 5 years after their admission to the United States, for reasons that existed before they came to the country, in rare cases they can be arrested and deported. Immigrants and their families consequently have strong incentives to avoid being deemed public charges. In evaluating whether a person is likely to become a public charge, immigration officials take account of factors such as age, health, financial status, education, and skills. The use of cash assistance for income maintenance (e.g., Supplemental Security Income or Temporary Assistance for Needy Families) and government-funded long-term care are considered in making these determinations. Other noncash benefits such as health and nutrition programs are specifically excluded from consideration, and use of cash-assistance benefits by the immigrant’s dependents is not currently factored in. The Trump administration is proposing sweeping changes to these guidelines. A draft rule from the Department of Homeland Security (DHS) would substantially expand the definition of a public charge to include any immigrant who “uses or receives one or more public benefits.” Not just cash assistance but nearly all public benefits from federal, state, or local governments would be considered in public-charge determinations, including nonemergency Medicaid, the Children’s Health Insurance Program (CHIP), and subsidized health insurance through the marketplaces created by the Affordable Care Act (ACA); Medicare would be excluded. The DHS draft notes that in making these determinations, “having subsidized insurance will generally be considered a heavily weighted negative factor.” The broadened definition of public charge would also encompass food assistance (the Supplemental Nutrition Assistance Program [SNAP] and the Women, Infants, and Children Program [WIC]), programs designed to assist low-income workers (e.g., the Earned Income Tax Credit [EITC]), housing assistance (Section 8 vouchers), and the Low Income Home Energy Assistance Program. Moreover, not only immigrants’ use of public assistance but use of these programs by any dependents, including U.S.-born citizen spouses and children, would also be considered. The potential impact of these changes is enormous. In 2016, about 43.7 million immigrants lived in the United States. If enacted, the new regulations would affect people seeking to move to the United States to be reunified with family members and to work, as well as lawfully present immigrants who hope to become legal permanent residents (green-card holders). One estimate suggests that nearly one third of U.S.-born persons could have their use of public benefits considered in the public-charge determination of a family member. This includes “10.4 million citizen children with at least one noncitizen parent.” Notably, unauthorized immigrants are not the primary target of the draft rule, since they are already ineligible for most federally funded public assistance. Instead, lawfully present immigrants would bear the brunt, as well as persons living in “mixed-status” families (those in which some members are citizens and others are not) and persons living abroad who wish to immigrate to the United States. We believe that the draft public-charge regulation represents a substantial threat to lawfully present immigrants’ access to public programs and health care services. What modifications may be made is uncertain — after the rule is formally proposed, there will be a public comment period, and revisions could be made before it is finalized. But if this rule takes effect, it will most likely harm the health of millions of people and undo decades of work by providers nationwide to increase access to medical care for immigrants and their families. This entry was posted in Federal Government, Health Care, Health Care Costs, Immigrants, MEDICAL COSTS, Public-Charge Rule, Trump and tagged Costs, Health Care, Health Care Costs, Immigrants, Medical Costs, Public-Charge Rule on August 8, 2018 by Transforming Workers' Comp. The following article should alarm every decent American, especially those who wants to see every American have health care that does not eat into their life savings or cause them to go into debt. Your humble author is one of them and may also be affected if this draconian decision is upheld by the courts and the Supreme Court. Thanks Bernie Bots and Steiners…thanks for giving us Justice Gorsuch by not voting or not voting for the Democratic candidate two years ago. “Amongst the more important provisions of the Affordable Care Act were the requirements for guaranteed issue and community rating. For individuals with preexisting conditions, insurers could not deny them coverage nor could they charge them higher premiums than are charged for others in the same age group. This corrected two of the most serious defects in the individual insurance market that existed before enactment of ACA and made insurance available to many who otherwise could not purchase the plans. Now Attorney General Jeff Sessions says that he will no longer defend these provisions. If the courts uphold his position, individuals with significant health care needs may find insurance with adequate benefits to be either unaffordable or not even available to them. Then concepts such as “universal” or “affordable” become moot. How does this compare to our traditional Medicare program? The courts have already ruled that Part A of Medicare – the hospital benefit -is mandatory and must be accepted if the individual also accepts Social Security benefits. However, this does not apply to Part B – the physician benefits – nor to Part D – the drug benefits. Thus the courts have ruled that the government can require certain mandates in health care, but it also demonstrates that our current Medicare program needs to be improved, for this and for a great many other reasons. So a single payer, improved Medicare for all should be able to pass constitutional muster. This entry was posted in ACA, Access to care, Affordable Care Act, Community rating, Congress, Courts, Guaranteed issue, Health Care, Health Care Benefits, Health Care Reform, Health Insurance, Individual mandates, Justice Department, Medicare, Medicare for All, Pre-existing condition, Single Payer, Supreme Court, Trump, Unconstitutional and tagged ACA, Affordable Care Act, Community rating, Congress, Guaranteed issue, Health Care, Health Care Costs, Health Care Reform, Individual mandates, Insurance companies, Justice Department, Medicare, Medicare for All, Pre-existing condition, Single Payer, Supreme Court, Tax, Texas, Unconstitutional on June 11, 2018 by Transforming Workers' Comp. 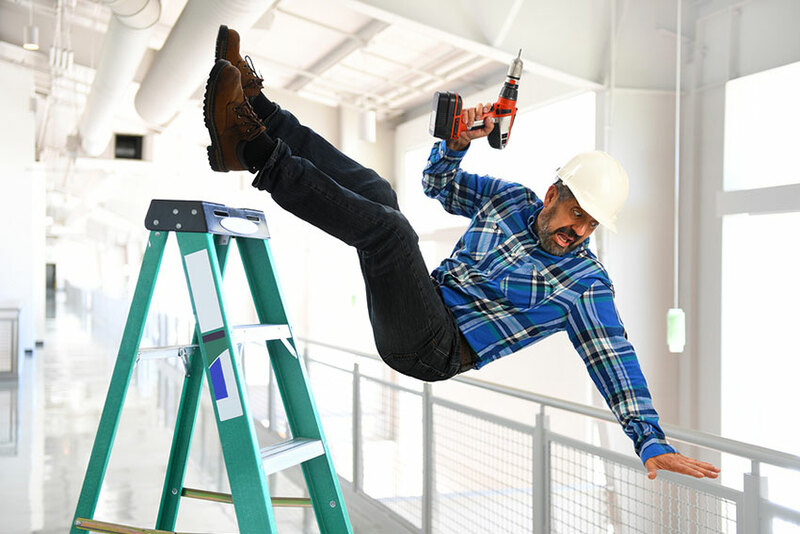 Turning back to the original subject of this blog, workers’ comp issues, two articles this week discusses two recent reports that examine the issue of workplace safety. The first article highlights the fact that despite a drop in the number of workplace injuries, the cost of those injuries and illnesses continues to rise, according to the 2018 Liberty Mutual Workplace Safety Index. According to the Safety Index, the number of most serious injuries and illnesses fell by 1.5%, yet their cost, including medical and lost-wage payments, rose by 2.9% between the 2017 and 2018 reports. Total cost of the most disabling work-related injuries was $58.5 billion, with the 10 leading causes accounting for $51.4 billion of the total, the Index reported. An earlier post in this blog has discussed this issue before. The top cause of workplace injuries, according to the Index, was overexertion, costing employers $13.7 billion in 2015. Falls on the same level came after that at a cost of $11.2 billion, while falls at a lower level cost another $5.9 billion. Finally, rounding out the top five causes, were struck by object or equipment at $5.3 billion, and other exertions or bodily reactions at nearly $4.2 billon, the Index reported. The second article discusses a report issued by the AFL-CIO on making workplaces safer. The report outlines the state of safety and health protections for American workers, and includes state and national information on workplace fatalities, injuries, illnesses, the number and frequency of workplace inspections, penalties, funding, staffing and public employee coverage under OSHA (Occupational Safety and Health Act). It also has information on mine safety and health. In 2016, there were 5,190 workplace deaths due to traumatic injuries, which was an increase over the 4,836 deaths reported in 2015. 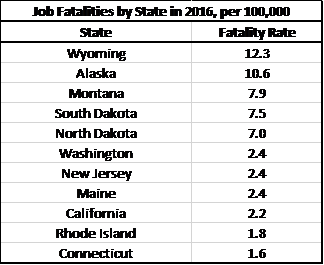 The rate of fatalities in 2016 also increased from 3.4 per 100,000 in 2015 to 3.6 per 100,000 in 2016. Since Congress enacted the OSH Act, more than 579,000 workers can claim that their lives have been saved. But the article states that too many workers remain at serious risk of injury, illness or death as a result of chemical plant explosions, major fires, construction collapses, and other preventable tragedies. Add to that, workplace violence is increasing. Compare that to what the current anti-worker, pro-business fascist regime in Washington is doing to not only roll back the work of the Obama administration, but to undo all the safeguards and protections workers had fought and died for over the past century. There is even consideration of looking at the child labor laws. Instead of draining the swamp, the head of this regime has nominated a coal industry executive to head the Mine Safety and Health Administration. Folks, this gang of corporate criminals wants to make America great again by not moving forward, but by moving backward. They want to take the country back, alright — right back to the 19th century when businesses did whatever they wanted, workers had no rights, and if you got injured or ill on the job, it was too bad. Or maybe it was your fault. That was the verdict in the civil case against the two owners of the Triangle Shirtwaist Company, whose factory went up in flames in March 1911, and led to enactment of workers’ compensation laws and fire codes. And the sad thing is, there are many business professionals who support and defend this regime and its leader, especially on social media sites like LinkedIn. They are not CEOs or Presidents of companies, although some maybe, albeit small ones. They do have executive titles at the managerial, supervisory or vice presidential levels. They are not informed about the struggles workers endured during the last century to gain those rights and protections. And until the labor movement, and the union leadership regains their rightful place as defenders of those rights, these actions will continue until they are gone forever. This entry was posted in Injured workers, OSHA, Republicans, Trump, Unions, Workers' Comp, Workers' Compensation, workplace safety and tagged Congress, Employees, Employers, Health Care, Workers, Workers' Comp, Workers' Compensation, workplace safety on May 11, 2018 by Transforming Workers' Comp.